Cool! 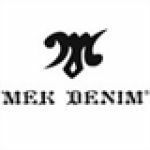 Save an average of 20% on mekdenim.com with 2 Coupon Codes, and 4 Deals! Details: 15% off Winter Sales Items! Free shipping included on site.